Parsnip, Sweet Potato and Beetroot Chips, Lightly Salted. Delicious real veg slices. We season our chips with real food ingredients. Gluten-free. We don't add anything artificial msg, artificial flavours or colours. 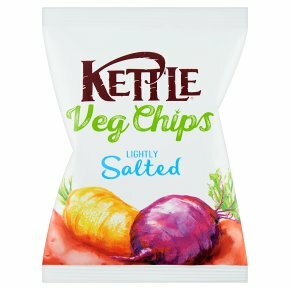 These chips are suitable for: vegetarians and vegans.